Google is one of the biggest search engine and Google maps are also one of the biggest location search engine. Google Maps are helping the people worldwide through their services and making them travel easily with different Routing options. Here we have given a brief description of Making Routes with option like – Avoid Tolls, ferries, Highways or Motorways in between route. 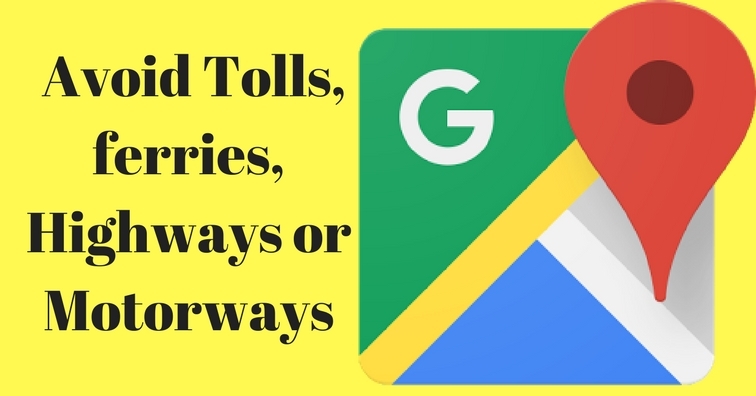 Google maps allow you to use your voice for navigation, allows you to measure distance and time, you can add stop in between your route, you can find the local favorites nearby you, you can rate and review the places nearby you, and what not. 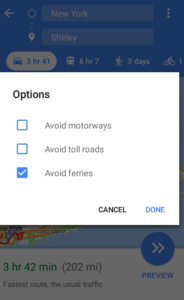 In addition to it Google maps has also introduced one more feature that helps you to avoid any route which may consists of ferries,tolls, highways. 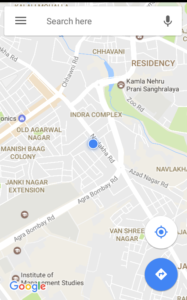 Check all features, tips and tricks of Google Map. 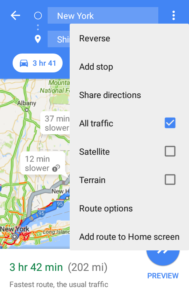 Open the Google maps phone application in your phone. Tap on the directions button. Once you tap on the directions button it will ask you to fill up your current location and destination. Beside the location bars you will find 3 vertical dots. In the bottom you will find the ‘Route Options’. 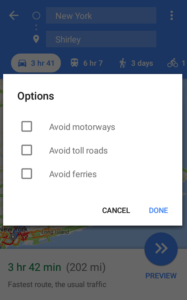 Tap on the route options and you will see some options with checkbox. check the box for any option you want. If you want to avoid motorways then check the box for it. 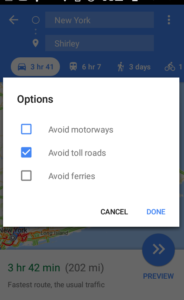 2. if you want to avoid tolls then check the box for tolls. Moreover it is not only about the mobile app you can also do it on web platforms as well. You can also look over how to measure straight line distance between two points on Google Map. beneath the locations bars you will find the ‘options’ written there. Tap on it to see your options for route options. 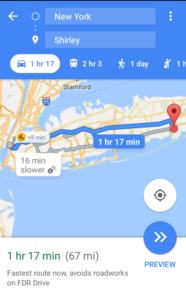 So, Google maps are making lots of changes over a period of time for their users , such that you can use it with ease and comfort. 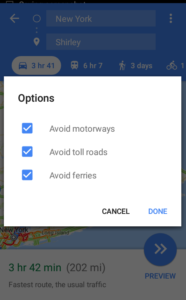 Do tell us how much ease of use does “route options” feature of Google Maps get you.